Guided Instruction Every Step of the Way! Though you’re in class for yourself, you’re not by yourself. Our Black Belt Instructors provide you with the most safe, effective and personal instruction available. You will receive individual help as you master the basics and ongoing guidance from our Instructors as your skill level increases. Efficient use of your time & money! Because our Bernardo Cardio Kickboxing program is a total body workout you can save time and money by hitting all of the energy systems and exercise components all in one class! You’ll hit and target and train every muscle group in your body. You will train your core and build stability and strength. You’ll work to increase your flexibility and improve upon your joint mobility. You will train in both your aerobic and anaerobic fat burning zones creating an energizing, calorie busting workout! Did we mention you get all of this in one 50 minute class? 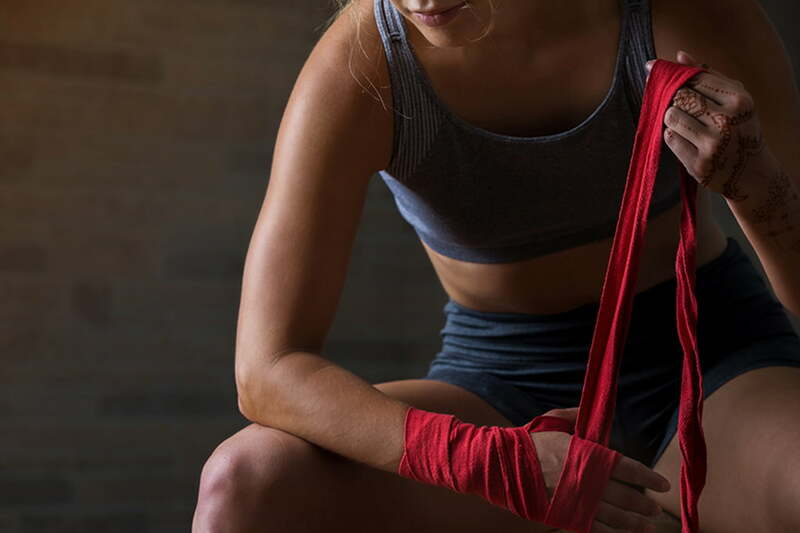 Our Bernardo Cardio Kickboxing classes are taught only by Professional Black Belt Instructors, many of whom are World Champions with years of experience. There is no experience necessary and all fitness levels are invited to try a class for FREE. There is no sparring, no contact and no competitive element in our Bernardo Cardio Kickboxing classes. Just a fun, safe and exhilarating total body workout! I’m impressed with the school and staff! The atmosphere is positive and encouraging. I always look forward to my next workout! I have never been in a place where the people were so caring. They have pushed me to a new fitness level and I plan to continue to challenge myself and increase my goals. I recommend to everyone I know. We started karate because my son said Why play with action figures when I can be one? It's been 2 years and we love it there. My son is a blue belt and my 5 year old daughter is in little dragons. I just joined and am loving the adult classes. I can't wait to start kickboxing! My niece and I did the kickboxing cardio class from 6-7pm and had an amazing workout. It was our fist time doing the class and the teacher Leah was great at explaining, Leah and the rest of the class made us feel welcome. We can't wait to join and come to more classes. Having enjoyed many years of Martial Arts and friendships at Bernardo Karate, and having travelled and studied Martial Arts in other countries, I know it is a top notch place to learn and enjoy Martial Arts for all ages! Very friendly and supportive environment! Kids enjoy working hard to achieve belt levels with instruction from amazing back belts helping along the way. Bernardo Karate is an amazing school that offers high quality, diverse training in a friendly, open-minded atmosphere! Love it! The people are fantastic!!! Very supportive and enjoy having fun. Muscle & Fitness magazine rates Cardio Kickboxing as the number one fat burner with over 800 calories burned in a 45 minute class! Nothing else comes close. Not only is Bernardo Cardio Kickboxing a great workout, it’s also a great way to condition your entire body. You don’t have to spend hours in the gym lifting weights or on boring cardio machines to get the same results. You’ll get a tight and shapely lower half, a flat and toned stomach, amazing core strength and a strong upper body. Take a load off your mind. Relieve stress and frustration. Cardio Kickboxing at our Bernardo Karate locations will help develop your mental strength as well as your physical. You will get so absorbed in class that your problems will seem a million miles away. The best part is you’ll think clearer and sharper than ever before. A major benefit of increased flexibility is better blood circulation and more relaxed body movement. Cardio Kickboxing is a great self-confidence booster. Exercising while learning basic boxing and kickboxing techniques to protect yourself are all valuable assets to have. You will feel empowered and safe knowing you are being taught to defend yourself all in one amazing workout. No other workout or health club will leave you with a feeling of self satisfaction the way Bernardo Cardio Kickboxing does. Come see why we were voted the best workout in London! Interested in trying out one of our cardio kickboxing classes? Sign-up for a free class!